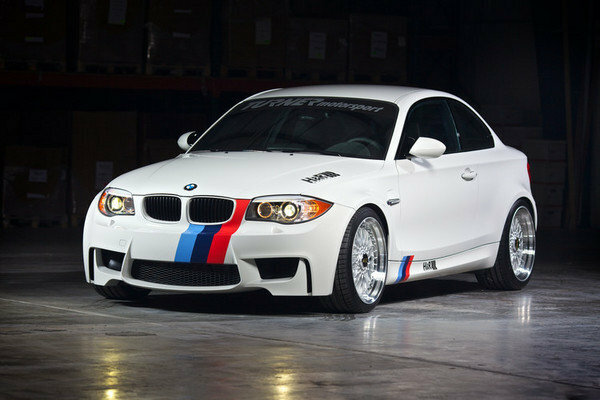 For all of the tuning projects that have been done on the BMW 1-Series M Coupe, it seemed a little surprising that we haven’t heard a whole lot from the popular 1M at the 2011 SEMA Auto Show other than the ’Black Knight’ vehicle that RevoZport was building. Apparently, a second 1M Coupe has officially booked its attendance in Las Vegas. This one comes from renowned suspension specialists, H&R Springs, who built a program for the 1M Coupe that centers on a number of high-end performance parts. That’s not to say that they didn’t work on the car’s aesthetics because they did dress it up with some decals bearing the unmistakable M-Series livery to go with some sticky jewel graphics.